If you missed part one about going gluten free, go back and read it before you read this post! What’s it like to have a gluten free diet? It seems like it should be really simple. Just stop eating foods with gluten. It’s actually pretty difficult, since so many foods contain gluten. Of course there are the regular suspects – bread, pasta, cereal, cookies, crackers, etc. Most of those foods are wheat-based, therefore containing gluten. But there are lots of other gluten-containing foods you may not think of, like soy sauce, bottled sauces and dressings, and soups. For a more comprehensive list, click here. Furthermore, when you remove gluten-containing foods from your diet, you need to replace them with something else. Let’s take a look at that. There are three paths you can take if you decide to go on a gluten free diet. Stop eating foods with gluten, and don’t replace them with something else. Example: Instead of eggs and toast for breakfast, you just eat eggs. Your meals will be smaller and have fewer calories, and may not be well balanced. Stop eating foods with gluten, and replace them with a gluten-free substitute. Example: Instead of eggs and regular toast for breakfast, you eat eggs and gluten-free toast. Your meals will be about the same size, but may be higher in sugar and/or fat (gluten-free products are often higher in these to mask the taste difference when there is no gluten). Stop eating foods with gluten, and replace them with alternatives that are not simple substitutes. Example: Instead of eggs and toast for breakfast, you eat eggs and berries. Your meals are likely lower in calories, higher in nutrients, and don’t have any highly-processed foods. If you take path #3, then you’re making a much bigger change to your diet than simply going gluten free. This path makes your meals higher in nutrient-rich foods and lower in refined carbohydrates. Chances are good that if you make these kinds of changes, your digestion is going to be better, and you are going to feel better overall. You may think that it’s because you removed gluten, but really, you made a much bigger change to your diet. So…should we go gluten free? Now that gluten-free diets are so popular, you can buy a gluten-free version of almost anything. You can eat gluten-free cereal for breakfast, a sandwich on gluten-free bread for lunch with gluten-free cookies, gluten-free pasta for dinner, and a gluten-free cupcake for dessert. Even restaurants often have gluten-free menu options. If that is how you are eating, you’ve removed gluten from your diet, but you haven’t removed all of those empty calorie foods. If you are truly sensitive to gluten, this type of switch could make you feel better. But I have to ask the question, is this diet any healthier? The one instance when it is ESSENTIAL to completely remove gluten is when someone in the house has Celiac disease/wheat allergy. If one or more family members is diagnosed by a doctor, then the best way to avoid them eating any gluten is to remove it from the house completely. Otherwise, you’ll need to be VERY careful about using separate dishes and utensils for them. And sanitize everything! But if no one in the house has diagnosed Celiac disease or wheat allergy, then should you go gluten free? I personally believe that experimenting with your diet is the only way to find out what works for you. Some nutrition professionals might say ABSOLUTELY YES or NO WAY to removing gluten. I say, try it, but approach it as a true experiment. That way you can truly evaluate whether you notice a difference on a gluten free diet. Follow these steps to trial a gluten free diet for you and/or your family. 2. Read all your labels. 3. Don’t accidentally go low-carb. You don’t need to eat all of those foods at each meal, but you definitely want at least one of those foods in your meal. Kids will need at least 2 of these foods in their meals. 4. Re-evaluate after 2-3 weeks. 2 to 3 weeks is enough time for you to figure out whether gluten is a problem or not. Look back over your food diary. Do you notice an improvement in how you feel? Are any symptoms gone that you were having before? 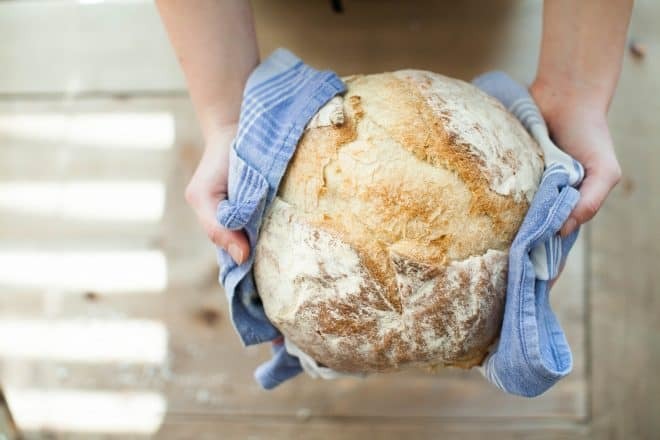 What did you replace the gluten-containing foods with – did you use gluten-free substitutes, like gluten-free bread, or did you eat something totally different? This is when you should reintroduce gluten. For one day, try eating gluten with each meal and evaluate how you feel after each meal. For example, have a waffle or toast with breakfast, crackers with lunch, and pasta at dinner. Then, don’t eat gluten-containing foods for the following two days, and see how you feel. If you don’t notice any difference on the day you eat gluten-containing foods, or any difference on the following days, then it’s likely fine to continue eating gluten! If you notice symptoms when you reintroduce gluten, then you might have a sensitivity to it. At this point, I’d suggest working with a dietitian to help evaluate your symptoms and see what’s going on.